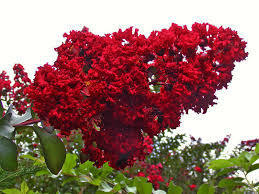 We have a huge variety of your favorite crape myrtles. This crape is a DYNAMITE (RED) These medium-sized trees will bloom with bright red flowers for up to four months at a time. They’re also easy to grow. Add Dynamite Crape Myrtle trees to your landscape and garden.